“He had gotten in through the cat flap and had eaten all the cat food before going for a sleep." A family came home one day and couldn’t find their cat, so they began searching around for him. 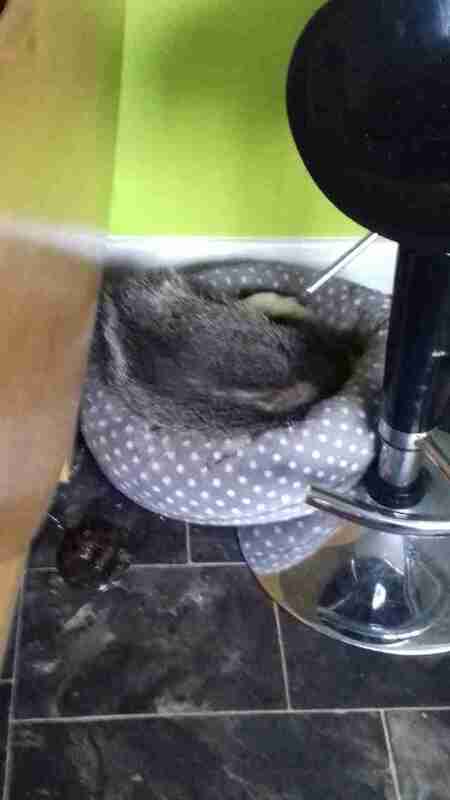 They went over to the cat’s bed — and found a completely different animal occupying it, casually taking a nap. The family immediately contacted the Scottish SPCA, unsure of what else to do. Animal rescue officer Connie O’Neil arrived on the scene, and was shocked when she saw what animal had somehow ended up in the family’s home. After eating all of the cat’s food and exploring for a bit, the full, sleepy badger passed out, unaware that he was a bit of an unwelcome guest until the family came home and found him — kind of like a real-life "Goldilocks and the Three Bears." O’Neil immediately set about trying to get the badger out of the house, which he was NOT at all a fan of. “He didn’t seem too happy when I tried to move him but I was able to slide the cat bed round and it was then that the badger noticed the back door was open so he made a run for it,” O’Neil said. 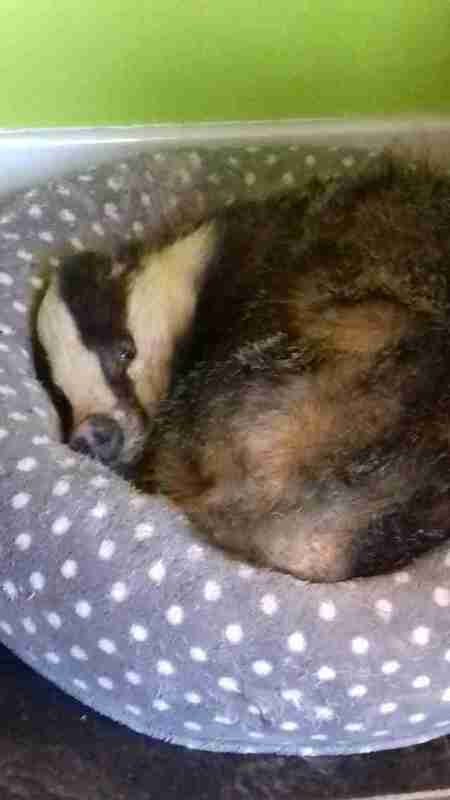 The badger made it safely out of the house and back to where he belonged, and O’Neil commended the family for doing the right thing by contacting the SPCA. If you find an injured or lost wild animal, here are some places you can contact to find help.